The airplane can travel to distant countries lead, crossing quickly MANY Time alteration of sleep regulation, fame and physical performance and intellectual. This set Disorders Defined jet lag is manifested by malaise, insomnia During the night, sleepiness during the day, irritability, nausea, intestinal disorders, appetite REDUCTION, REDUCTION of Performance Physical and mental, dehidration, skin dehidration also. Also 10%. The body takes about 4 to 6 days to readjust completely. It VERIFICATION crossing multiple time zones, for example traveling from east to west or west to east. The severity of the disorder depends on the number of Time and histories SOME Individual Characteristics. The disorders are usually larger and more intense nia travel eastward WHILE nia travel westward and More easy fit, stretching the night. 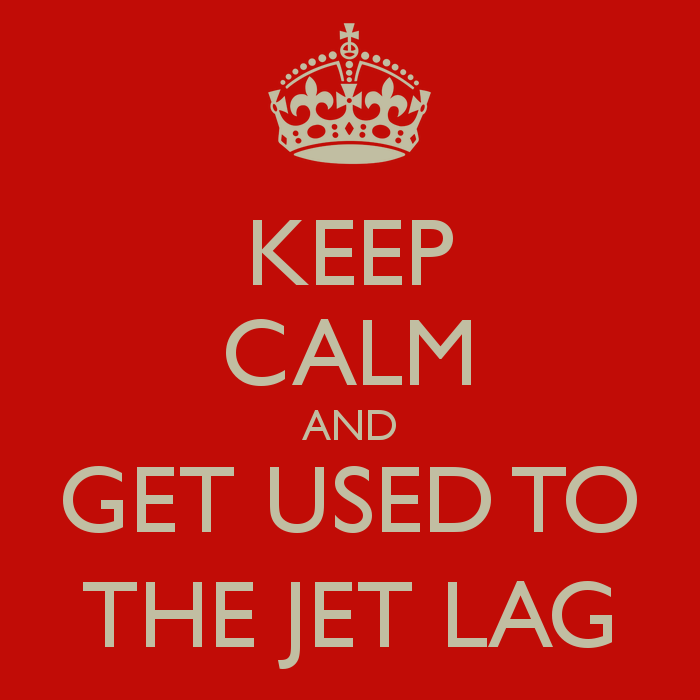 Jet lag Be not CAN prevented but you can reduce Effects. • ASK advice from your physician before Journey On Mode Taking of drugs normally taken at a certain time, for example. insulin, contraceptives etc. • Be well rested before the sleep-out and In Flight. Previous nights because The Journey I recommend you go to bed later than usual if it travels westward or earlier than usual if it travels eastward. • Once in Destination, trying to sleep More time possible, especially at night. • Expose the body so Checked the light and the dark. Trips westward CAN be Useful expose to daylight in the evening and in the morning to avoid it (dark glasses or headgear); When it travels eastward and exposing yourself to the best light in the morning and evening to avoid it. • Check the temperature. If it travels westward A hot shower in the evening it HELPS a feel awake; If You Travel to the east A cool shower in the evening facilitates sleep. • Use sleeping pills only be under close medical advice. The prolonged immobility, especially when it is so seated, can lead to a stagnation of blood in the legs and this may favor the development of thrombis (small masses of solidified blood) in the deep veins of the legs. • When traveling by air for long-distance (over 3 hours) get up and walk down the hall, for example, to go to the bathroom every 2-3 hours. • Move your legs often during the flight. • Avoid crossing your legs and take positions that may reduce the blood flow in the legs. • Store the hand luggage in place that allows to move the limbs. • Wear loose clothing and comfortable. • Drink plenty of water. Apply hidrating cosmetic cream. • Travelers at risk (pregnant women, obese people, people with coagulation defects, subjects with a history of venous thrombosis, with cancer or who have had recent surgery, etc.) to develop deep vein thrombosis should talk to their doctor and assessing with him the opportunity of potential drug treatments. Next Random Act of Kindness.